Now celebrating our 20th Anniversary! Larchmont Music Academy was founded in November 1998 by Dr. Steven Huter and Claudia Huter. Claudia grew up in Larchmont and returned after college to teach private flute lessons in the area. In September 1998 she had a full teaching schedule, and after discussions with siblings, parents and local band directors, realized Larchmont needed a place where students could find high-quality music education for other instruments as well. By November the Academy opened, and the school began to grow. From its beginnings with 30 students, the Academy has flourished and now nearly 800 students attend classes, lessons, and ensembles. Our facilities have been expanded constantly to keep up with the increase in students: in 1999 we annexed a second location around the corner, and in 2000 we doubled the space there. In 2003 we moved to a two story facility and in addition maintain our original location. A faculty of 43 artist teachers, Kindermusik classes, woodwind, string and jazz ensembles, and frequent performances keep things lively. With the outreach concert series the students and faculty volunteer their time to bring music to the community, performing in nursing homes, hospitals, and the local library and the reservoir. 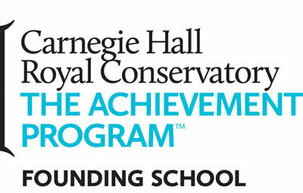 Highlights of the Academy concert series include a student honors and ensemble concert in Carnegie Hall. Larchmont Music Academy is located at 2089 Boston Post Road between Chatsworth and Larchmont Avenues in beautiful Larchmont, New York. We are just north of Manhattan in lower Westchester County. Our annex is located across the street at 2106 Boston Post Road. Both facilities include newly-renovated sunny private studios, performance areas, and cozy waiting rooms. Each studio is appointed with new upright or grand pianos. We are committed to maintaining the highest-quality pianos, teaching studios,and performance spaces. Larchmont Music Academy is a member of the National Guild for Community Arts Education. At the Academy we believe that music is a fundamental and necessary part of every community. As a National Guild member, we are committed to making high quality arts education accessible to all.